Fish makes a delicious and nutritious meal packed with Omega-3 s. It is also a good source of protein and low cholesterol. 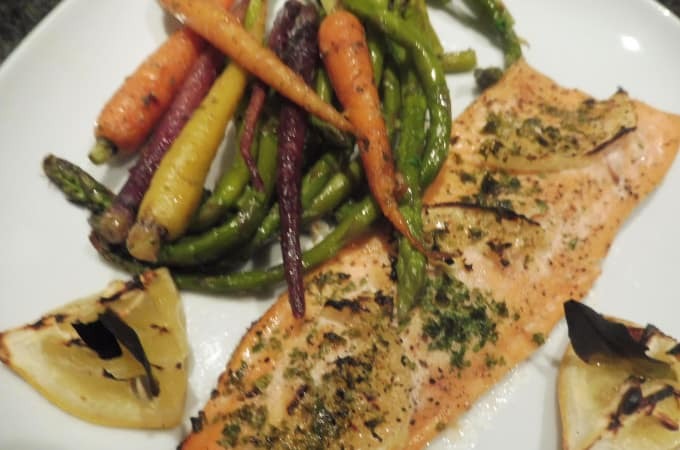 The American Heart Association recommends eating a variety of fish, preferably oily fish (e.g., salmon, tuna, herring, etc. ), at least twice a week. Cooking desn’t have to be complicated. 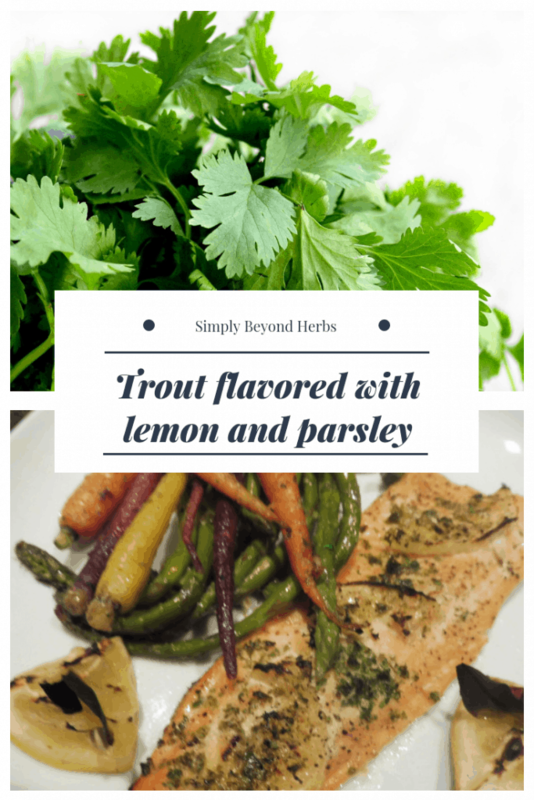 For this particular recipe we used brook trout – which is a freshwater fish in the salmon family. 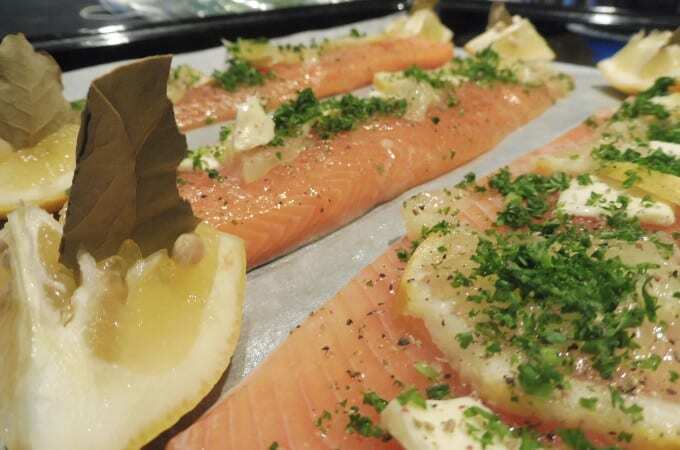 It is something between trout and salmon, very tasty and oily. When you have quality fish like this you don’t need to come up with anything really fancy – lemon, butter and parsley is all you need to make this dish outstanding in its taste. 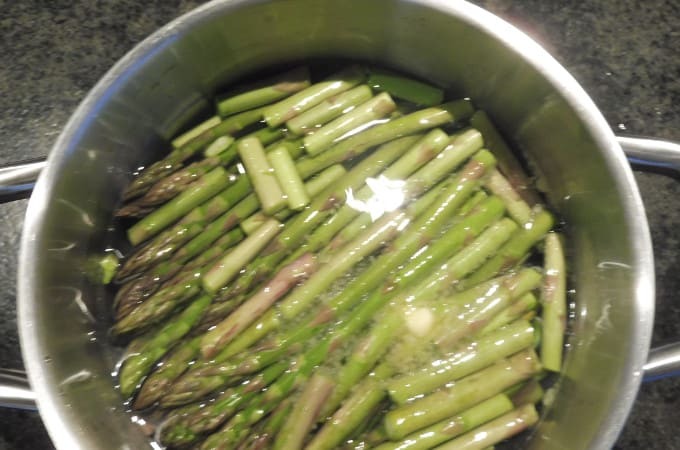 The dish is completed with carrots and asparagus boiled in the salty water. 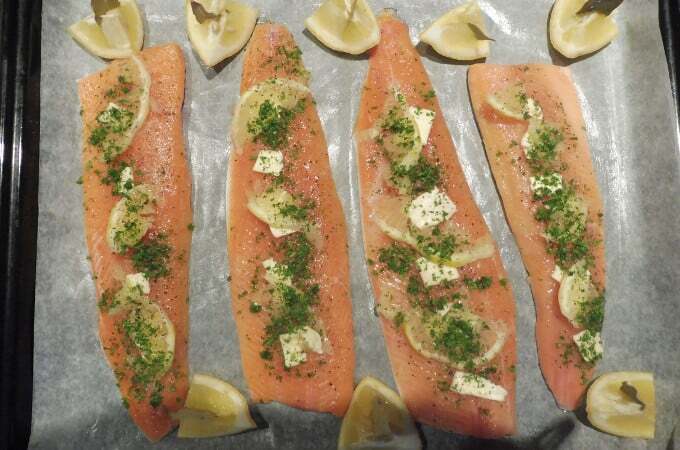 Add the lemon juice and butter on the fish and sprinkle with finely chopped parsley. Roast at 180 degrees, turning once until tender and slightly browned, 20 minutes. 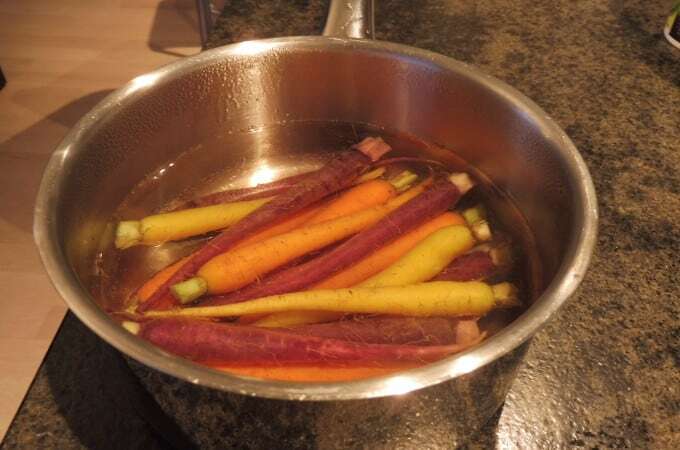 In the meantime boil the asparagus and carrot in the salty water for 5 minutes each. This quick and heathy dinner is ready in 30 minutes.